Marty’s perception of these women (and others) aids how they are classified from the point of view of the audience. Maggie and Lisa have been dwindled down to nothing more than the two-dimensional versions of themselves that exist in Marty’s head. Maggie is the wife and Lisa is the mistress. As viewers, though, we know that if they were real people, there would be so much more to learn about them. Yet, we learn one or two things for the sake of the plot and move on. We may not like it, but the removal of characteristics of characters for the sake of storytelling is precisely how stories work. It would be impossible to tell a story (or write a book, or make a TV series) if every character were a fully developed person. That’s just the way it is. The truly fascinating part though, is how True Detective accomplishes this. The majority of the series is a story told through interviews of Marty Hart and Rust Cohle by a pair of IAB (Internal Affairs Bureau) officers. Through the interviews, the audience learns of a case from several years prior. This is remarkable because what the viewers learn is not what “actually” happened, but rather what happened according to Marty and Rust. Everything they say is skewed, because they are people with their own flaws. The first and most obvious flaw being that the human memory is unreliable. Another reason their accounts could not be considered to be reliable is because we learn later in the series that their accounts have been intentionally falsified, as you can see in the following clip. Because of how women are treated, many critics have accused this show of being misogynistic and there have been a multitude of explanations and arguments about this topic. If the show is misogynistic, then it’s because Marty and Rust are misogynists. Whether or not the show is misogynistic is beside the point, though. A dichotomy of male versus female has been manipulated and simplified in the series in order to address the issues it has chosen – i.e., Rust’s philosophical ponderings – by limiting further complexity in these issues that would otherwise occur should women be included. By localizing these issues to an exclusively male space, the series has created certain containing structures of existence for every character. These containing structures of existence are rooted in real life stereotypes and remain quite persistent. Further, the structures have been used and manipulated, such that they can only be explored and transformed within this exclusively male space while the female space, by contrast, is rigid and unconquerable. This dichotomy of male versus female doesn’t truly exist in real life, but has been created from stereotypes and simplified to allow the viewer to become immersed in the existential questions that Rust poses and contemplates. The dichotomy is perpetuated by Marty and Rust’s storytelling, which as we know is fickle. So if Marty and Rust’s accounts of the case – and the main plotline of the show – can’t be trusted, should the audience be able to trust their views of the women in their lives? 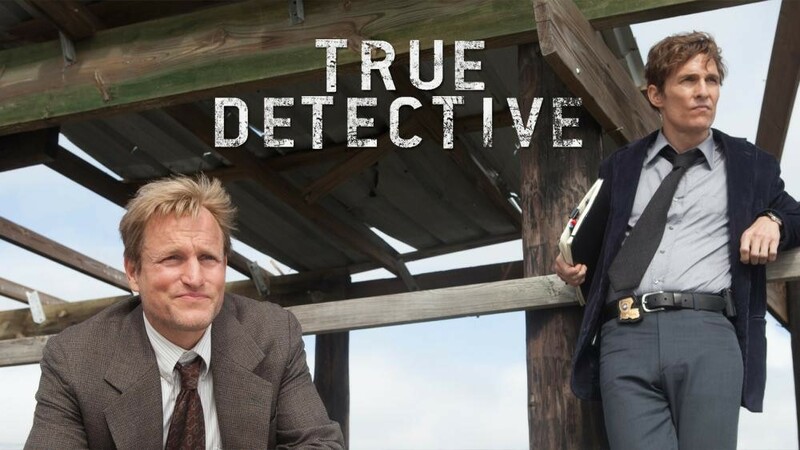 This entry was posted in Relevance of Humanities, Religion in Culture, Student Blog and tagged Marty Hart, Perception, Rust Cohle, Sarah Griswold, Storytelling, True Detective by admin. Bookmark the permalink.